Looking for a great paid work experience this summer or Easter* that will help you secure a job after school, or a place at university. Smart Futures is a great paid experience of work for ambitious, bright school students which can improve their chance of getting a job after school or going onto higher education. 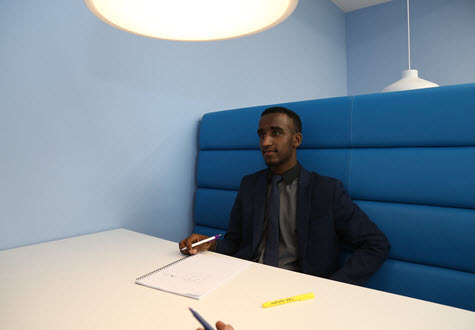 The ten month programme, run by the EY Foundation, starts with two weeks paid work experience. You will be allocated a mentor who will work with you one to one for ten months, helping you make some of your biggest career choices. If you have been eligible for free school meals at any point in the past six years, apply today. Please note, you do not need to have claimed free school meals, only be or have been eligible for them. Important: you can apply to the following locations even if you have not been eligible for free school meals within the last six years, because you may be eligible based on your postcode. On your application please choose YES for free school meals eligibility. EY Foundation will share limited personal data with selected employers in order to match your details and interests with the most relevant organisations and facilitate your placement with them. The information will only be shared to the extent necessary to enable your placement with an employer, and will include name and surname. It will be transferred securely and processed in accordance with data protection legislation. No sensitive personal data will be transferred to your prospective placement organisation or any other party. By proceeding with your application you acknowledge and consent to EY Foundation sharing your details for the purposes outlined above. The ten month programme, run by the EY Foundation, starts with three weeks paid work experience and a mentor who will work with you one to one for ten months, helping you make some of your biggest career choices. Important: You can apply to the following locations even if you have not been eligible for free school meals within the last six years because you may be eligible based on your postcode. On your application please choose YES for free school meals eligibility. EY Foundation will share limited personal data with selected employers in order to match your details and interests with the most relevant organisations and facilitate your placement with them. The information will only be shared to the extent necessary to enable your placement with the employer and will include name and surname. It will be transferred securely and processed in accordance with data protection legislation. No sensitive personal data will be transferred to your prospective placement organisation or any other party. By proceeding with your application you acknowledge and consent to EY Foundation sharing your details for the purposes outlined above. 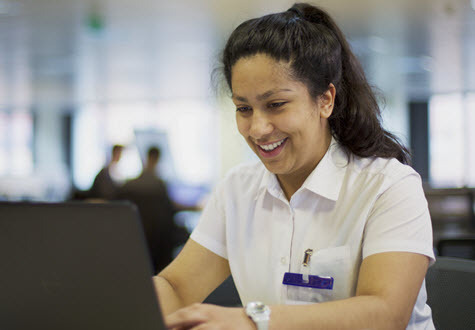 The Taylor Wimpey Futures programme is a great paid experience of work for ambitious, bright school students which can improve their chance of getting a job after school or going onto higher education. The ten-month programme, run by the EY Foundation, starts with three weeks paid work experience. You will be allocated a mentor who will work with you one to one for ten months, helping you make some of your biggest career choices. If you have been eligible for free school meals at any point in the past six years, apply today. Please note, you do not need to have claimed free school meals, only be, or have been, eligible for them. attend a non-fee paying school or training provider. EY Foundation will share limited personal data with selected employers in order to match your details and interests with the most relevant organisations and facilitate your placement with them. The information will only be shared to the extent necessary to enable your placement with an employer, and will include name and surname. It will be transferred securely and processed in accordance with data protection legislation. No sensitive personal data will be transferred to your prospective placement organisation or any other party. By proceeding with your application you acknowledge and consent to the EY Foundation sharing your details for the purposes outlined above.